I don’t suffer from celiac disease or even a minor gluten intolerance, thankfully. But the first thing I did recently when I got the two major players behind Widmer Bros. Brewing Co.’s new Omission gluten-free beers on the phone was thank them. At least once a week, someone asks me to recommend a gluten-free beer — for them, for their husband, for their Aunt Mary — and I had nothing worth suggesting. Until now. Widmer parent’s company, Craft Brew Alliance, unveiled its Omission line in Oregon in April. The beers, a pale ale and a lager, were an instant hit, and St. Louis is included in a national rollout that began Monday. 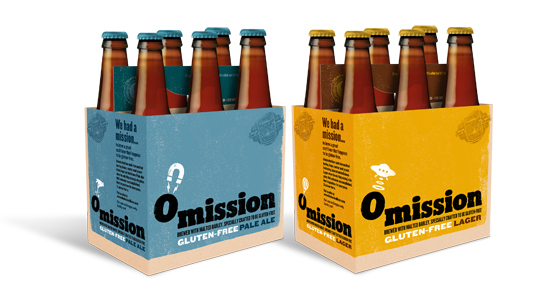 The Omission beers are the first gluten-free beers I’ve sampled that taste like real beer. That’s because they are real beers, brewed with malted barley, yeast, hops and water.